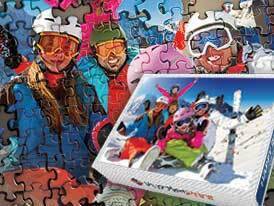 To make your picture jigsaw puzzle, you can choose from different types of jigsaw puzzles! 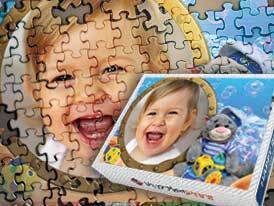 All of our photo puzzles are of the very best quality, and manufactured using environmentally friendly methods. The card we use a special puzzle grade, suitable for long term use. The customized cutting die we use to cut the puzzles, makes sure every piece is well defined, and fits perfectly. Puzzlesprint manages the whole process within the company, and we own all of the machinery needed to make your puzzle. This means that the whole order, manufacture and delivery process is extremely quick. The delivery made by DHL or UPS will ensure that you receive your order as soon as possible. The feature rich photo editor on our website lets you make changes to your photos before having them turned in to a jigsaw. One you have uploaded you photo, you can use our online photo editor to make changes to it. You will be given a real-time view of how your photo looks, and how it will appear on your puzzle. PuzzlesPrint is the Perfect Place to get a Personalized Jigsaw! 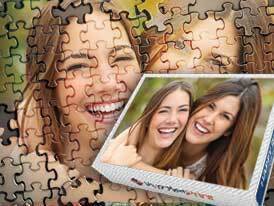 We can make you a wonderful personalized jigsaw puzzle using your very own photo! 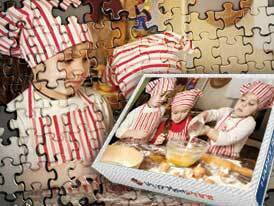 PuzzlesPrint can manufacture jigsaw puzzles with as few as 15 pieces, suitable for very young children. At the other end of the scale, for jigsaw fans, we can manufacture photo jigsaws up to a maximum of 2000 pieces, keeping you entertained for hours on end! On our website you can order a wide range of personalized jigsaw puzzles. This includes photo frame jigsaws, photo collage jigsaws, and magnetic photo jigsaws. We also can make puzzles out of wood, card or plastic. All of our puzzles make excellent gifts or promotional items. Here at PuzzlesPrint we can turn your photos in to a very special, personalized jigsaw. 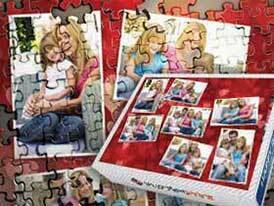 These photo puzzles are a perfect gift to commemorate any event or occasion! Frame photo jigsaw puzzles, wooden or plastic jigsaw puzzles, promotional jigsaw puzzles, magnetic jigsaw puzzles, personalized jigsaw puzzles and photo collage jigsaw puzzles can be delivered via express or standard delivery options. Give an exceptional gift to somebody with one of our customized jigsaw puzzles! 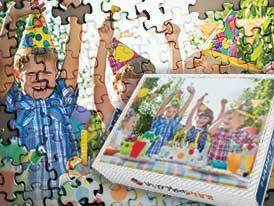 The personalized jigsaw puzzles that PuzzlesPrint manufactures, are fantastic gifts to give people on special occasions such as birthdays, weddings, graduation day and upon their retirement. No matter who you give a photo puzzle too, a friend, relative or colleague, it is sure to be well received! Our magnetic puzzles are a new take on the idea of photo puzzles, something different. 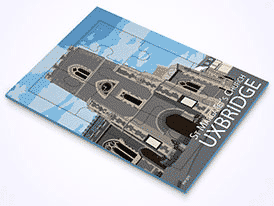 Our standard photo puzzles are suitable for framing once they have been completed. If you can’t decide which photo you want made in to a jigsaw no problem, we can make you a photo collage jigsaw from a selection of photos. Once you have solved the puzzle, have it framed and sealed. Solving a jigsaw puzzle that has been made from your own photos is a much more satisfying experience than putting together a store bought jigsaw. Our jigsaw puzzles are personalized, and give double the pleasure when you solve them. You not only solve the puzzle; you uncover one of your favorite photos as well! For something a little different, why don’t you choose one of our photo collage jigsaws? Ordering a photo collage jigsaw from PuzzlesPrint is so easy. All you need to do is choose one of our jigsaw temples, and the upload your favorite photos. After this, just select the size and we will make your personalized jigsaw! If you would like something that you can display when it has been completed, you should consider one of our photo frame puzzles. We have 8 different sizes of photo frame puzzles available, and a wide range of frames to suit your photo perfectly. Our frames cover events such birthdays, weddings and valentine’s day! All of the types of custom made jigsaw puzzles we make, are perfect for giving away as promotional items, or as a special greetings card, or even as an invitation to a special event. Check out the different categories we have on offer, to see which are suited as business gifts or personal gifts. 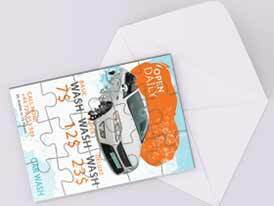 All of our promotional jigsaw puzzles can be made with or without a magnetic backing. Are you looking for a more unique personalized puzzle? Then you should take a look at our wooden puzzles. These we can make in two separate sizes, and they come in six different piece counts. We also have three special wooden jigsaws that carry the messages Merry Christmas, Happy Birthday, and I love You. Our wooden jigsaws are our top of the range product, so much nicer to handle than cardboard puzzles. Do you need a jigsaw that can withstand children? Or perhaps a long lasting promotional gift, or puzzle that will be used frequently at an event? Our plastic jigsaw puzzles are perfect in this situation. Manufactured to the same standards as our card and wooden puzzles, but cut from plastic. We can provide six different piece counts for our plastic jigsaws. Personalized photo puzzles can be ordered and will be delivered to all Canada locations, including: La Tuque, Senneterre, Rouyn-Noranda, Halifax Regional Municipality, Val-d'Or, Greater , Sudbury, Kawartha Lakes, Timmins, Ottawa, Cape Breton Regional Municipality, Queens, Gillam, Sept-Îles, Norfolk County, Leaf Rapids, Haldimand County, Snow Lake, Saguenay, Gaspé, Hamilton, Port-Cartier, Prince Edward County, Lynn Lake, County of Brant, Shawinigan, Calgary, Témiscaming, Huntsville, Chibougamau, Elliot Lake, Caledon, Edmonton, Saint-Raymond, Laurentian Hills, Toronto, Bracebridge, Iroquois Falls, Mont-Laurier, Dégelis, Belleterre, Baie-Saint-Paul, Cochrane, South Bruce Peninsula, Lakeshore, Kearney, Blind River, Gravenhurst, Mississippi Mills, Northeastern Manitoulin and the Islands, Quinte West, Mirabel, Fermont, Winnipeg, Greater Napanee, La Malbaie, Rivière-Rouge, Québec City, Kingston, Lévis, St. John's, Bécancour, Percé, Amos, London, Chandler, Whitehorse, Gracefield, Baie Verte, Milton, Montreal, Saint-Félicien, Abbotsford, Sherbrooke, Gatineau, Pohénégamook, Baie-Comeau, Thunder Bay, Plympton–Wyoming, Surrey, Prince George, Saint John, North Bay, Happy Valley-Goose Bay, Minto, Kamloops, Erin, Clarence-Rockland, Cookshire-Eaton, Dolbeau-Mistassini, Trois-Rivières, Mississauga, Georgina, The Blue Mountains, Innisfil, Essex, Mono, Halton Hills, New Tecumseth, Vaughan, Brampton.